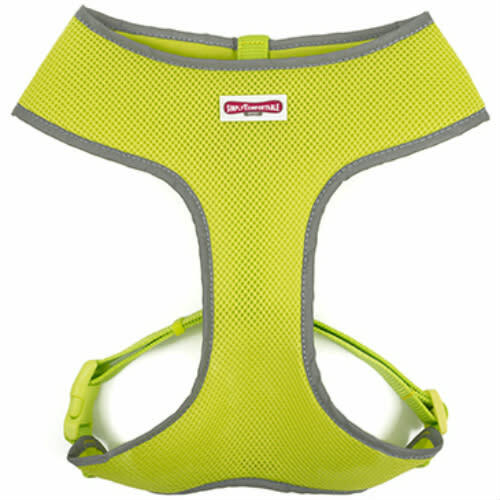 Ancol's Hi-Vis Harness is a lightweight and comfortable alternative to a collar that helps keep your dog safe and seen in the darker months. With sturdy nylon straps and adjustable buckles, the harness provides a secure and adjustable fit, whilst a quick click fastener helps make putting it on and taking it off again go as smoothly as possible! Make sure your dog is standing squarely upright on all four legs and is looking straight ahead for an accurate measurement, then measure the circumference around the widest part of the rib cage. Once you have done this you then need to refer to the size chart. If your dog's size does not match the size we have, then you should round up for dogs with downward tails and round down for dogs with upward tails. All Ancol/Muddy Paws products come with personalised washing instructions.